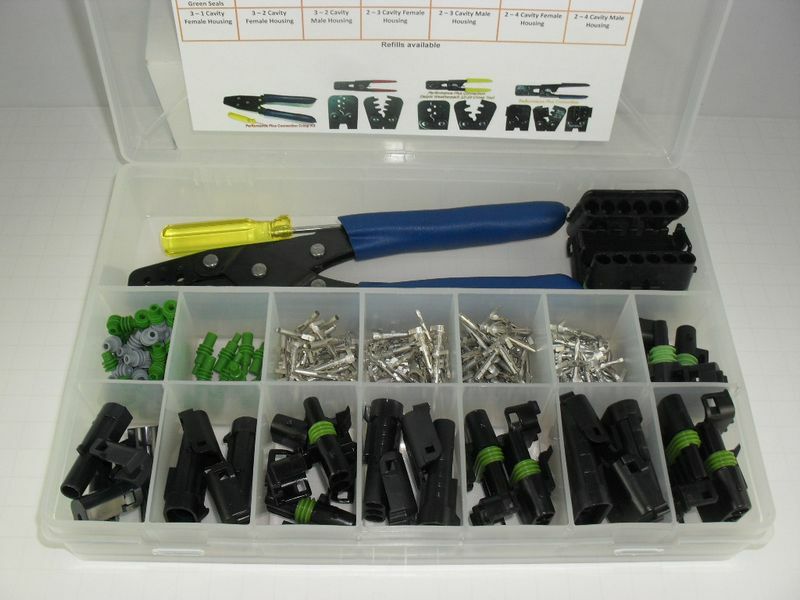 This Kit includes crimping & removal tool, a variety of pins & seals all packaged in a nice storage box. 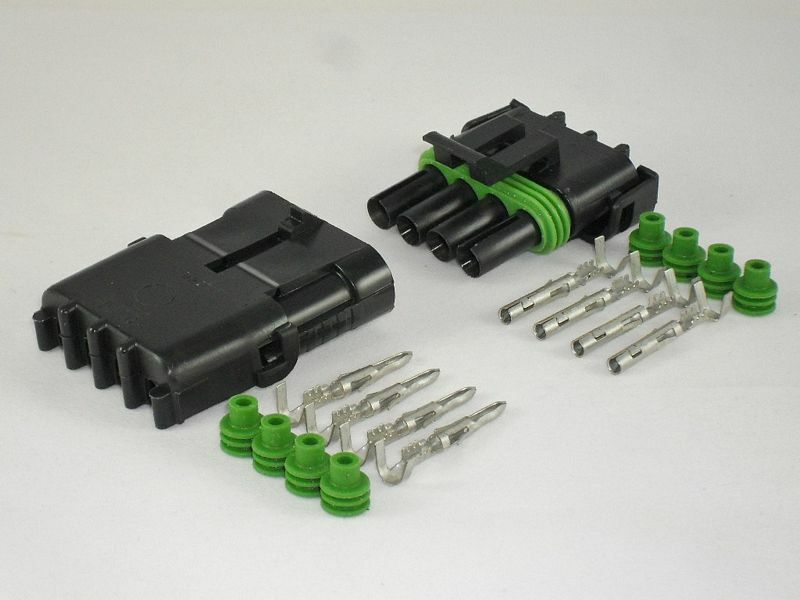 The Weather Pack series of high-quality environmentally sealed automotive connectors is well proven in tough, long-term, real world street car applications. 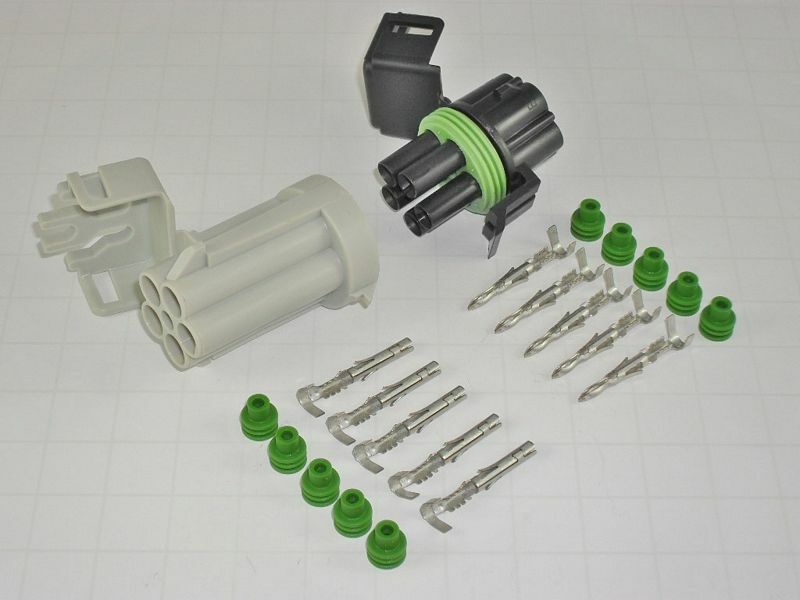 Self-lubricating silicone connector seals, cable seals, and cavity plugs exclude moisture, dust, dirt, and a variety of automotive chemicals to ensure a reliable electrical connection. 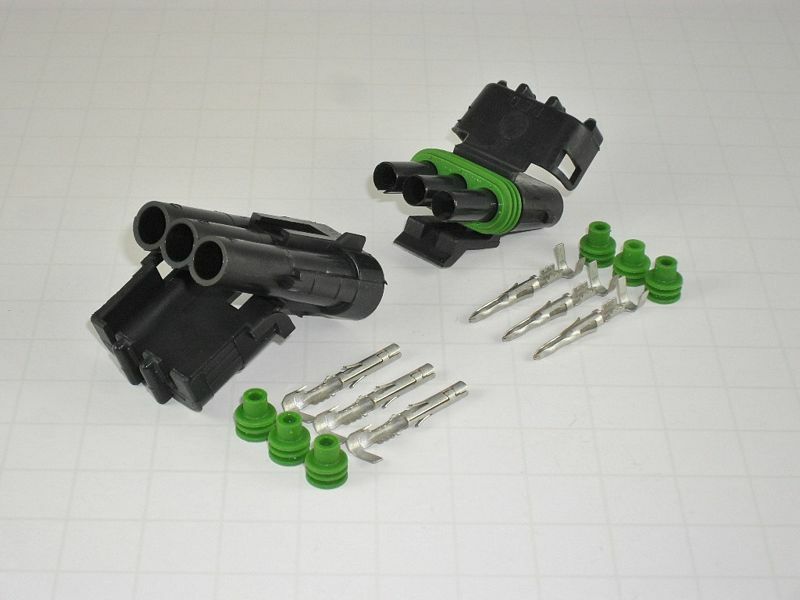 Heat stabilized polyamide housings combined with the heat resistant silicone seals withstand the high temperatures and harsh conditions of a vehicle’s engine compartment. 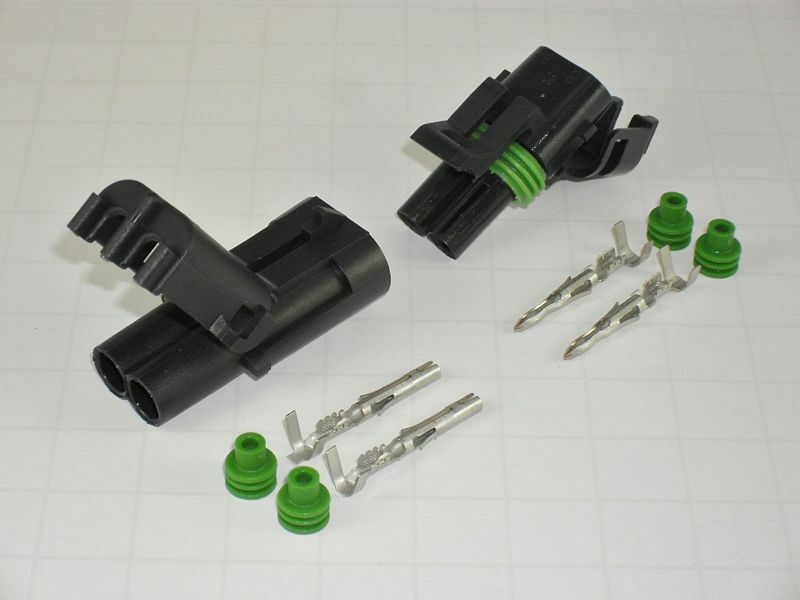 With a positive snap latch and hinged, locking seal retainers, these connectors are immune to problems caused by extremely high shock and vibration environments.